If you are looking to complete a few undercover special ops and need to record some video footage then this SpyNet Mission Video Watch, could be for you. This funky 007 spy watch records audio, video, stills and time lapse if required and also has games, missions, and applications installed and available to download. The Spy Cam Watch has a 1.4 TFT display and the watch comes with a snake cam accessory that allow you to record pics/video around corners or hides in a button hole for secret filming. It can also be used as a plug and play USB webcam if needed. 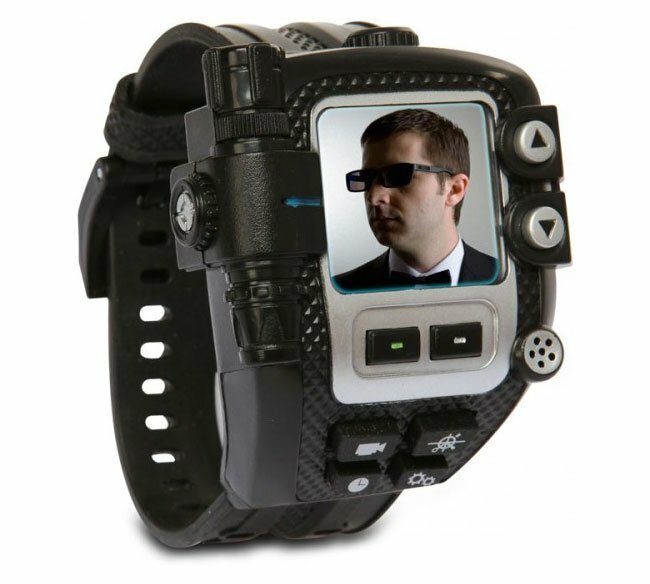 The SpyNet Mission Video Watch is available to purchase from Think Geek for $29.99 or with the snake cam add-on $59.99.